Though the last ten years or so USB flash drives have grown to play a significant role in our lives. Many people around the world use USB flash drives to store and exchange all kinds of data. However, though the years of their practical application, USB flash drives have proved to be vulnerable to numerous possible physical damages. With the course of evolution and further development of USB flash drives, many manufacturers have tried their best to make these devices less vulnerable to physical damage and the data stored more secure. 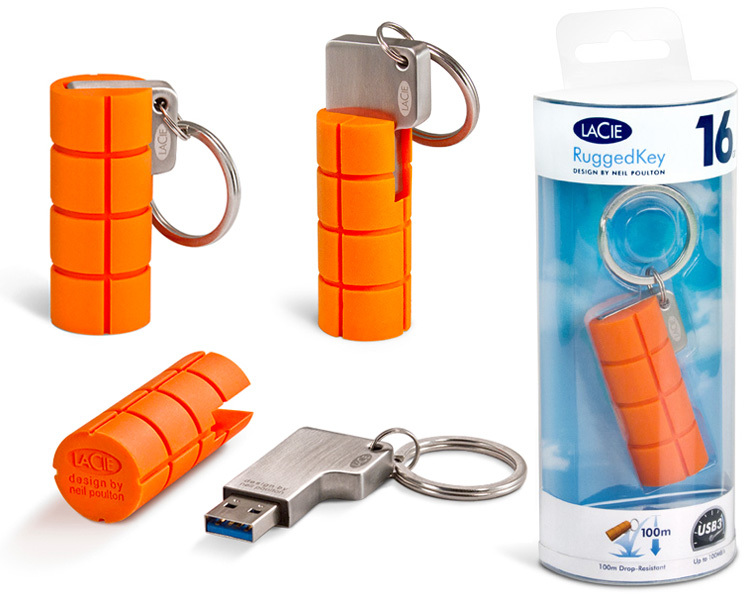 Currently, the peak of such development is the new RuggedKey USB 3.0 flash drive from LaCie. This device was designed by Neil Poulton and represents an ultimate means of data storage. The technology by which such safety is realized is quite simple. 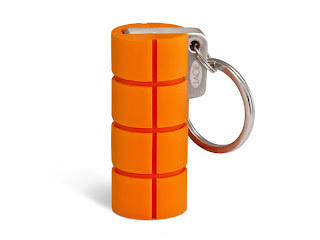 Basically, the flash drive is enveloped into an orange bumper. This simple innovation effectively protects the LaCie RuggedKey USB 3.o flash drive from such common sources of damage as cold and heat. The flash drive can also be dropped from a 100-meter height without any damage neither to the device itself, nor to the data stored. LaCie also report that this new RuggedKey flash drive is IP-54 certified which means that it also resist possible damage from dust and water. The bulk of the above-mentioned qualities ultimately makes LaCie’s new RuggedKey flash drive the safest device of the kind. As you surely have already guessed, LaCie RuggedKey flash drive employs the USB 3.0 technology. This means that the data transfer speed of this drive is extremely high. The USB 3.0 technology allows to transfer up to 5GB (an HD movie, or about 5,000 photos) of information per minute. 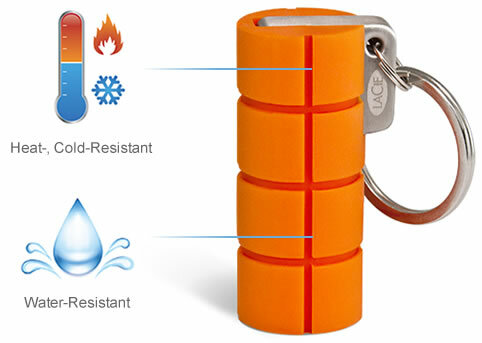 The LaCie RuggedKey USB 3.o flash drive also employs the Wuala Secure Cloud Storage technology. It copies the data stored on the drive into the cloud allowing you to access the stored information remotedly (which may be found useful, for example, if you forget the drive at the office). As for the security of the stored data, the device sports AES 256-bit encryption to prevent unauthorized access with password protection. 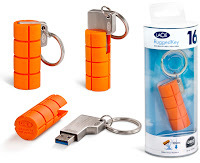 LaCie RuggedKey USB 3.o flash drive is available in 16 and 32GB storage capacities.